Police have arrested a resident of Modiin Illit suspected of assaulting a Palestinian bus driver in the ultra-Orthodox settlement last Thursday evening. The suspect, who is in his 20s, is being brought before the Jerusalem Magistrate’s Court where police will request that his remand be extended. The driver, Nidal Fakih from the Shuafat refugee camp in East Jerusalem, told authorities he was dropping off passengers in the central West Bank settlement when a car pulled up in front of his bus, from the Kavim transportation company, and blocked the road. Two young men exited the car, boarded the bus and began speaking to Fakih. When the suspects realized he was Palestinian, they began beating him. 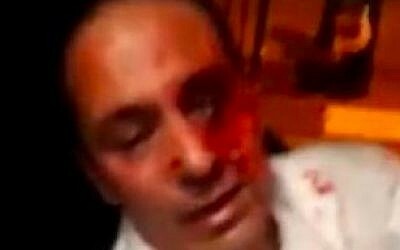 Footage from shortly after the assault showed Fakih bruised and bleeding profusely from his left eye, as well as unable to move from his seat. The arrest comes hours after bus drivers from the Kavim company demonstrated in Jerusalem against violence directed at bus drivers. An investigation into the attack is continuing, police say. 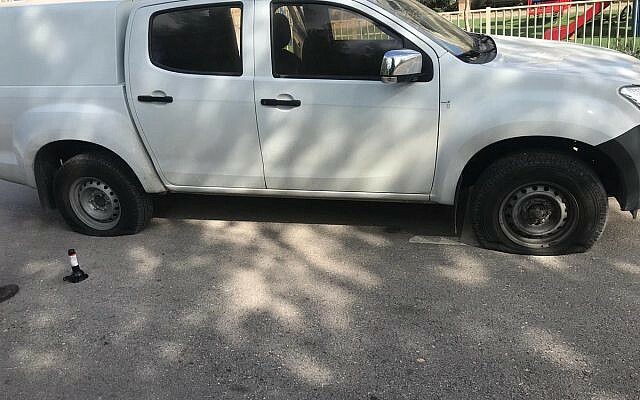 Residents of the ultra-Orthodox settlement of Nahliel have slashed the tires of a Defense Ministry vehicle that was parked there. The car belongs to officials from the Civil Administration’s “Blue Line” team, who were carrying out a survey of the land around the settlement in the central West Bank. 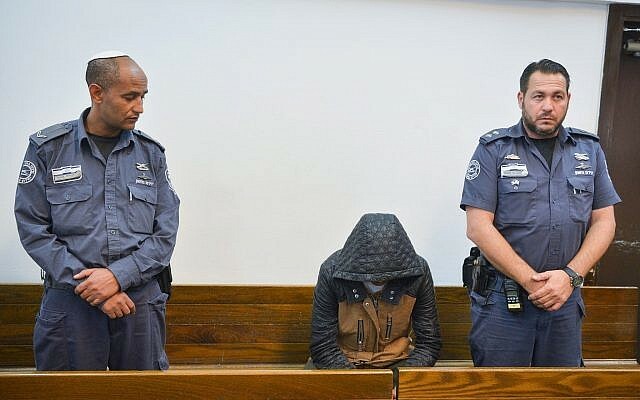 The suspect behind the slaying of a 13-year-old girl in Tel Aviv last month has confessed to the killing, Channel 10 news reports. 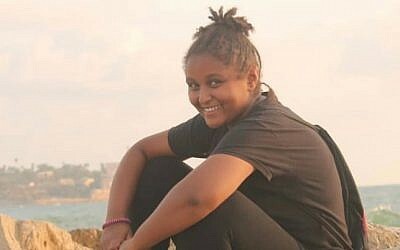 Tesfebarhan Tesfasion has been in police custody since he was captured on November 28, several days after Sylvana Tsegai was found dead in her home in south Tel Aviv. The killing was one of two in quick succession that has galvanized large protests against domestic violence around the country. Tesfasion, who had been in a relationship with Tsegai’s mother, reportedly said he killed the girl to get revenge on the mother. 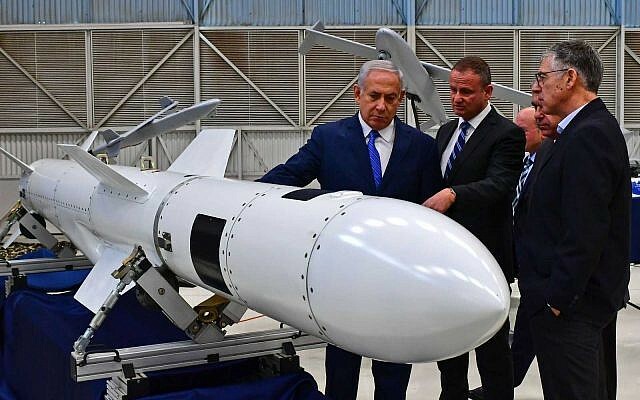 Prime Minister Benjamin Netanyahu is hinting cryptically at a weapons system developed by Israel that no other country has, during a visit to state-owned defense contractor Israel Aerospace Industries. “They are developing here missiles that can get to anywhere in the [fighting] arena, and to any target. That’s the offensive strength of the State of Israel which is key to us in any area. They are developing here weapons systems with special abilities that no other country has,” he says, according to a statement from his office. The premier does not explain his comments, which come a day after he said Israel infiltrates Iran periodically for intelligence purposes. The Sotheby’s catalogue calls the item “An Exceedingly Rare Ketubah from Kingston, Jamaica, 1884.” It is estimated to sell for $8,000 to $12,000 in Wednesday’s auction. It is the first time that Sotheby’s has offered a ketubah from Jamaica. The ketubah marks the marriage of David ben Abraham Nunes Henriques and Amy bat Alfred Delgado in Kingston on Wednesday night, 23 Menahem Av 5644 (August 14, 1884). The bride’s grandfather, Moses Delgado, was a major figure in the history of Jewish Jamaica. President of the Kaal Kadosh Shahar Ashamaim, the Sephardic synagogue of Kingston, he was responsible for the successful campaign in 1831 granting full civil rights for Jews. Sources in the Palestinian Authority tell the Ynet news website that they believe a Gazan Hamas terror leader who previously served time is behind a cell thought to be responsible for a series of attacks on Israelis in the Ramallah area. According to the report, Jasser Barghouti, originally from the West Bank town of Kobar, and released as part of the 2011 swap to free Gilad Shalit, is behind the so-called “West Bank group” terror cell thought responsible for deadly shooting attacks on Israeli soldiers and civilians near Ramallah. Jasser’s nephew Salih Barghouti is thought to have been behind a shooting attack near Ofra in which seven civilians were injured, including a pregnant woman who lost her child. |He was killed during an arrest operation on Wednesday, and on Thursday, two soldiers were killed in a shooting attack near the Givat Assaf outpost, and Israeli forces are hunting for the terrorist. Israeli military officials have said they believe both attacks were linked and were directed from Gaza. Barghouti was arrested in 2003 and sentenced to nine life sentences for his part in terror attacks in which nine Israelis were killed during the Second Intifada. 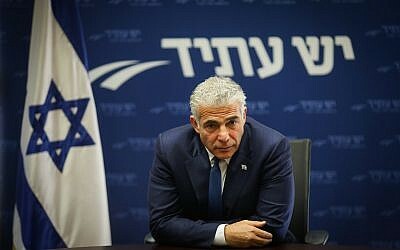 Yesh Atid chairman Yair Lapid slams Prime Minister Benjamin Netanyahu for his response to a series of terror attacks in the West Bank, accusing him of pretending to care for Israel’s security while failing to create a deterrent to prevent future attacks. As part of a series of measures targeting perpetrators of Palestinian attacks, the Ministerial Committee for Legislation voted yesterday to advance a bill that would allow Israel to forcibly relocate the families of Palestinian terrorists from their homes to other areas of the West Bank. The government has also stepped up efforts to demolish the homes of families of attackers. 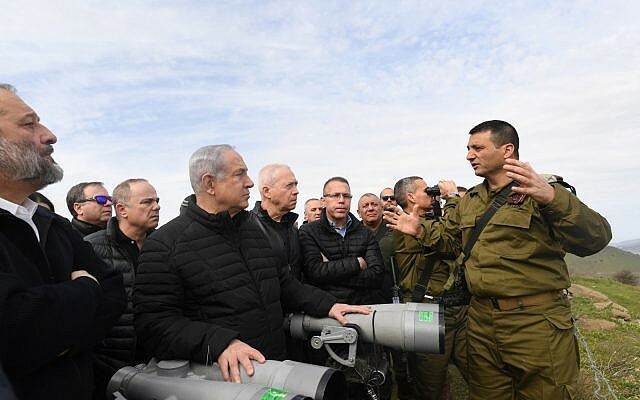 But Lapid says the steps are media spin while the prime minister ignores the real challenges for Israelis facing terror, accusing Netanyahu of spending too much time up north where the IDF is uncovering Hezbollah tunnels and making fun of his puffy black jacket. “No resident of the West Bank can remember what he looks like. No resident of the Gaza vicinity remembers what he looks like, where he does not do press conferences because he comes only when it looks like success. No one comes to the failures​,”​ Lapid charges. Egyptian security officials say two roadside bombs have hit a police convoy in northern Sinai, killing two conscripts. The officials say the attack just west of the border town of Rafah also wounded six conscripts. The bombs struck two armored vehicles that were part of a convoy on a search-and-destroy mission in the area. 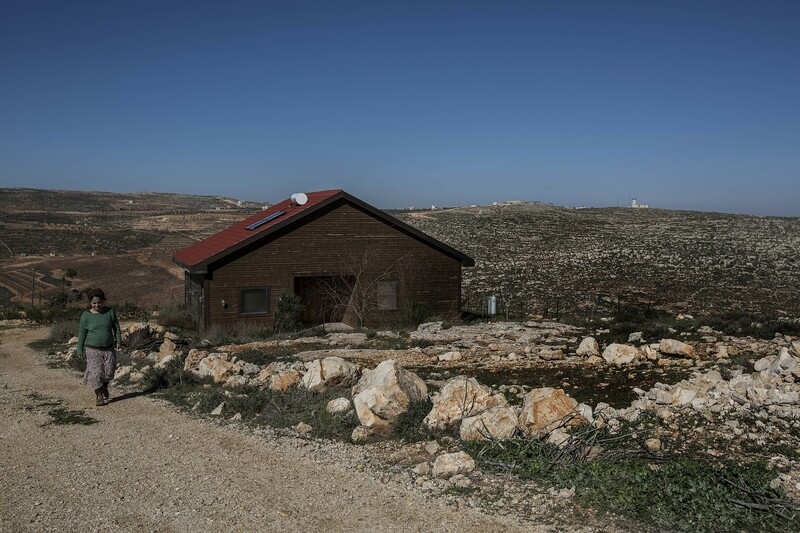 Attorney General Avichai Mandelblit announces his official opposition to proposed legislation that would allow Israel to forcibly relocate the families of Palestinian terrorists from their homes to other areas of the West Bank. According to Mandelblit, the current law allows for Israel to “assign a place of residence” to Palestinians citizens “only if there is a specific threat from that person… and after examining the proportionality” of expelling them from their home. “There is therefore a constitutional impediment to advancing the proposed legislation,” the statement says. “The proposal also raises significant challenges on the international level,” it adds, referring to potential blowback from passing the law. French anti-terrorist officials say they will soon press charges against a man arrested in connection with the mass shooting at a Christmas market in Strasbourg last week. The 37-year-old, who was not immediately identified, was detained on Thursday. He is suspected of helping provide the pistol used by Cherif Chekatt, a career criminal who shot dead five people and wounded 11 at the market last Tuesday night, judicial sources said. The alleged associate will be brought before a judge in Paris today, the prosecutors’ office in the capital said. The United Nations is urging donor states to give $350 million in aid for Palestinians in 2019, saying it needs more but had to be “realistic” following swathing US cuts. The UN says the appeal, down from $539 million in 2018, is due to a lack of available donor funds across the globe. It aims to support 1.4 million Palestinians through more than 200 projects. Jamie McGoldrick, UN humanitarian coordinator for the Palestinian territories, says due to a lack of donors the UN had to be more “realistic” when asking for funds. “We have taken this humanitarian response plan to the most focused and prioritized it could possibly be,” he says at the launch of the appeal in Ramallah. 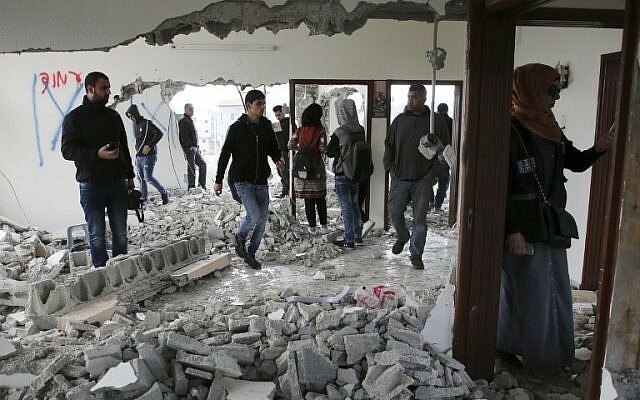 The Palestinian Authority is condemning the Monday morning demolition of a West Bank home belonging to the family of terrorist Ashraf Na’alowa. On October 7, Na’alowa, 23, killed his coworkers Kim Levengrond Yehezkel and Ziv Hajbi at a factory where all three worked in the Barkan Industrial Zone in the West Bank. 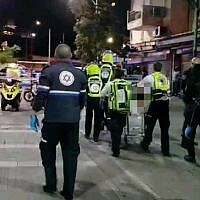 Another Israeli woman was also injured in the attack. He was killed Thursday during an arrest operation following a two-month manhunt. The structure itself was left intact while a part of its interior was destroyed by bulldozers. Parts of the building belong to family members who were determined by Israeli security services to have played no role in the terror attack. 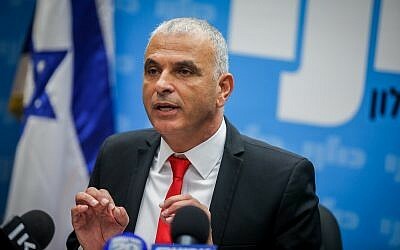 Finance Minister Moshe Kahlon is dismissing spreading protests over expected price hikes on consumer goods. “Calm down guys, you can take off the vests, we’re taking care of it,” he says at a faction meeting for his Kulanu party, according to the Ynet news site. 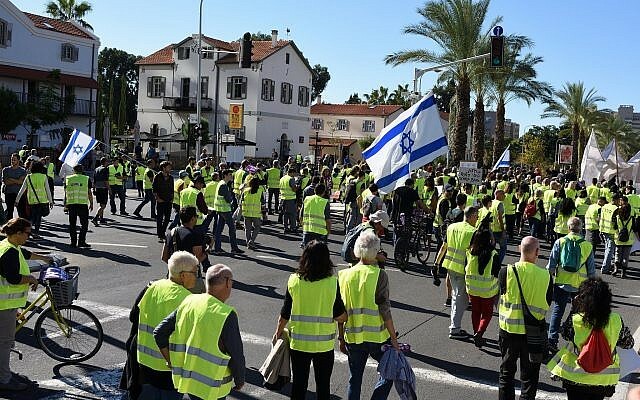 The comment is a reference to the yellow vest protests over fuel prices that have rocked France in recent weeks, and have since spread to Israel on a smaller scale. A number of yellow vest protests have taken place against the country’s high cost of living, and more are planned, amid plans for foodmaker Osem, the electric company, and others to raise prices beginning next year. Prime Minister Benjamin Netanyahu is backing a controversial bill that would forcible move Palestinian relatives of terrorists, but appears to be tempering expectations after the attorney general said the measure was likely not constitutional or in line with international law. “Expulsion of terrorists is an effective tool. To me the benefit exceeds the damage,” he tells Likud lawmakers during a faction meeting at the Knesset, according to a Likud statement. “Jurists say it’s against the law given how it’s defined, and it will surely be a legal challenge, but I have no doubt of its effectiveness,” he says. 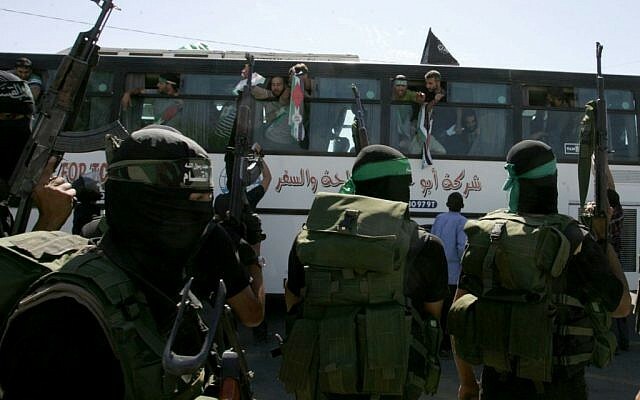 The measure would forcibly relocate relatives of Palestinian terrorists to other parts of the West Bank. 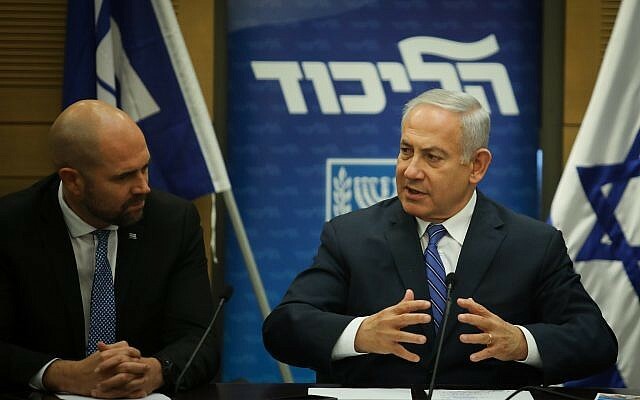 On Sunday, Shin Bet head Nadav Argaman warned that the move, which was given coalition backing, could harm Israel’s security rather than improve it, according to a report in the Haaretz daily. Netanyahu also says during the meeting he is doing everything to fight terror, including tearing down homes of terrorists, and is looking to see if there is a legal way to expand the controversial measure. Netanyahu’s office has officially confirmed his trip to Brasilia for the inauguration of Brazilian President-elect Jair Bolsonaro. Netanyahu will embark on the six-day trip on December 27 and return on January 1, 2019, presumably following the inauguration, slated for that day. 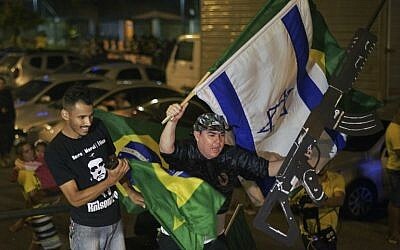 Bolsonaro, an ultra-conservative populist sometimes compared to US President Donald Trump, has vowed to move the country’s embassy to Jerusalem and shut the Palestinian mission in Brasilia. The Prime Minister’s Office does not release any details of the trip, including whether Netanyahu will visit any other cities while in Brazil. A speech pathologist is suing the state of Texas after she was told she could not work with an Austin public school district after refusing to sign an affidavit stating that she does not support a boycott of Israel, The Intercept website reports. Texas is one of dozens of states to sign legislation forbidding the state from contracting with anyone who supports a boycott of Israel. Similar legislation has been proposed on the federal level. The suit by Bahia Amawi, of Round Rock, Texas, in US District Court seeks to have the law struck down by the state and the clause in the school district’s contract removed. While free-speech and pro-Palestinian activists have criticized the law, this may be the first time a court will be asked to rule on its constitutionality. 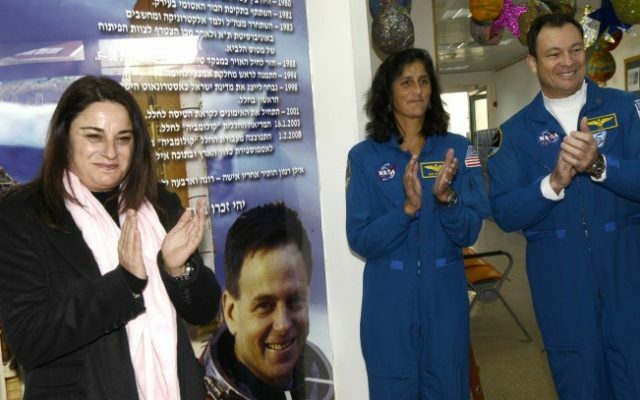 Rona Ramon, the wife of Israeli astronaut Ilan Ramon, has died at the age of 54. Ramon, a practitioner of holistic medicine, had been battling pancreatic cancer. 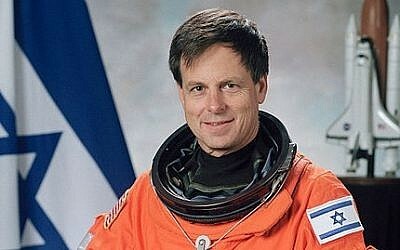 Ilan Ramon became Israel’s first person in space when he blasted off aboard the Columbia in 2003, but perished when the shuttle broke up upon re-entry weeks later. Ramon’s son Assaf, a fighter pilot like his father, died in 2009 during a training mission. After her husband and son died, Ramon set up a foundation in their memory and counseled others who were coping with tragedy, becoming a well-recognized public figure. “We will never forget how you built from out of the ruins, how you endowed meaning in infinite pain, how your creativity filled the never-ending void,” President Reuven Rivlin and his wife Nechama say in a statement. “Rona stood bravely after the deaths of her husband Ilan and son Assaf — our adored pilots. She fought cancer with the same bravery,” Prime Minister Benjamin Netanyahu and his wife Sara say in a statement. The Israeli military says one of the soldiers wounded in this morning’s bulldozer accident sustained serious injuries, while the second was lightly hurt. The army had previously not released the extent of the soldiers’ injuries until their families could be notified. The servicemen were wounded when the D-9 bulldozer they were riding in flipped over during an exercise on the Golan Heights. 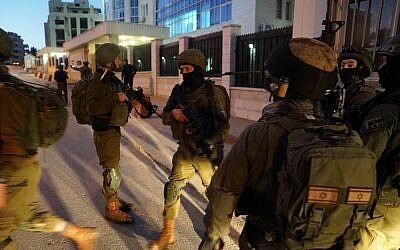 The two soldiers were sent to Haifa’s Rambam Medical Center for treatment. Following the accident, the head of IDF Ground Forces Maj. Gen. Kobi Barak appointed a colonel-led team to investigate how bulldozer operators are trained and other related issues. Bijan Rafiekian, who also goes by the name Bijan Kian, made an initial appearance Monday in federal court in Alexandria, Virginia. He is indicted on charges including failing to register as a foreign agent. According to the indictment, Rafiekian was vice chairman of Flynn’s business group, the Flynn Intel Group. The two worked throughout 2016 to seek ways to have cleric Fethullah Gulen extradited from the US to Turkey. Turkish President Recep Tayyip Erdogan has accused Gulen of directing a failed coup. Is Yair Netanyahu feeling sheepish after being banned by Facebook? The prime minister’s salty-tongued son, who has caught a baleful of flak lately for a series of social media posts deemed racist, including one calling Palestinians “animals,” is apparently spending time with another type of beast. A spokesperson for the Netanyahu family has sent reporters pictures of Yair with chickens and sheep, on a farm somewhere. According to Telegraph reporter Raf Sanchez, the pictures came with no captions or context. Just Yair in the animal farm. For reasons unclear to me, the Netanyahu family spokesman just sent out a series of pictures of Yair with farm animals. No captions, no context were given. Some think Netanyahu, who says he is a vegan, may be hoping to use the pictures of him in the hay to rehab his public image. In other words, putting lipstick on a pig. Politicians across the spectrum are mourning Rona Ramon. 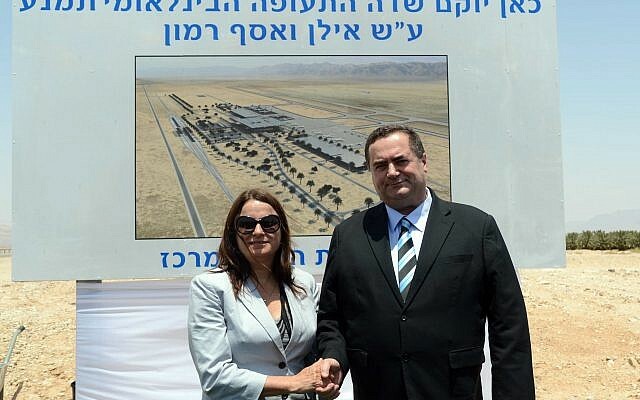 Israel Katz, who interacted with Ramon in developing a new airport named for her husband and son in his role as transportation minister, says “nobody was ever happier” than her on hearing the news. “Soon we will dedicate Ramon Airport and Rona will be there with us and with Ilan and Assaf and friends,” he says. British Prime Minister Theresa May says the postponed vote in Parliament on Britain’s Brexit agreement with the European Union will be held the week of January 14 — more than a month after it was originally scheduled and just 10 weeks before Britain leaves the EU. May tells lawmakers in the House of Commons on Monday that they would resume debate on the deal when Parliament comes back after its Christmas break the week of January 7, with the vote held the following week. I got to know Rona Ramon on a number of occasions, often connected to visits by the NASA Administrator or memorial events for her husband, Ilan z”l. She never failed to impress me with her kindness, grace, and courage. May her memory be a blessing. Condolences to her family. The Trump administration is refusing to comment on an Israeli push to retroactively authorize dozens of illegal outposts deep in the West Bank. A White House spokesperson also declines comment. Previous administrations have vociferously protested Israeli settlement building, but the Trump administration has rarely offered criticism. 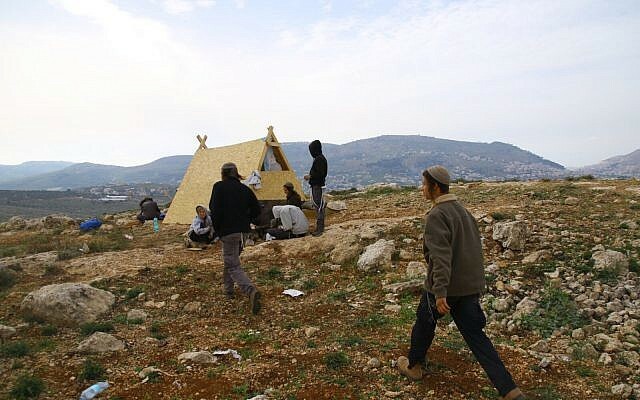 The law, okayed by ministers on Sunday, would allow the attorney general to give a legal imprimatur to 66 outposts built on state land throughout the West Bank. 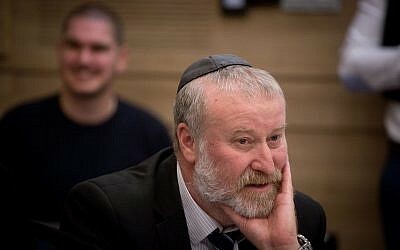 The measure must still pass the Knesset. 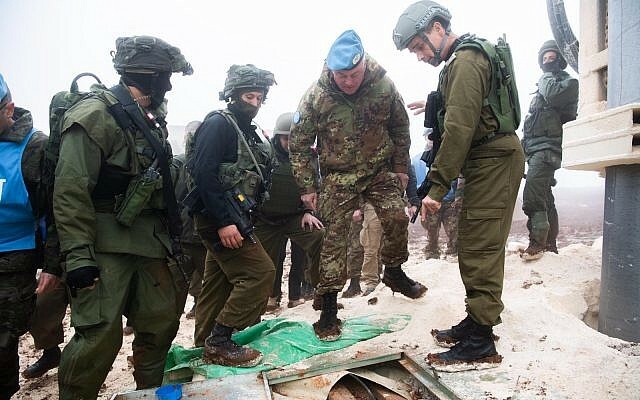 The United Nations peacekeeping force UNIFIL declares the cross-border attack tunnels dug into Israel from southern Lebanon a violation of UN Resolution 1701, which ended the 2006 Second Lebanon War. The group says it can confirm the existence of four tunnels that enter Israeli territory. In addition, UNIFIL says it ordered separate, independent investigations, which have so far confirmed the existence of two of the four tunnels. “These constitute violations of UN Security Council resolution 1701,” the peacekeeping force says in a statement. A UNIFIL spokesperson says the group cannot yet confirm the Israeli allegation that the tunnels were dug by the Iran-backed Hezbollah terrorist group, but is continuing to investigate the matter. “UNIFIL has requested the Lebanese authorities ensure urgent follow-up actions in accordance with the responsibilities of the Government of Lebanon pursuant to resolution 1701,” UNIFIL says. Israel’s tourism minister reportedly says vacation rental website Airbnb has decided not to enact rules which would have removed listings from the settlements. The statement, carried by several Hebrew media outlets, comes after Tourism Minister Yariv Levin held talks with Airbnb management in Jerusalem earlier Monday. 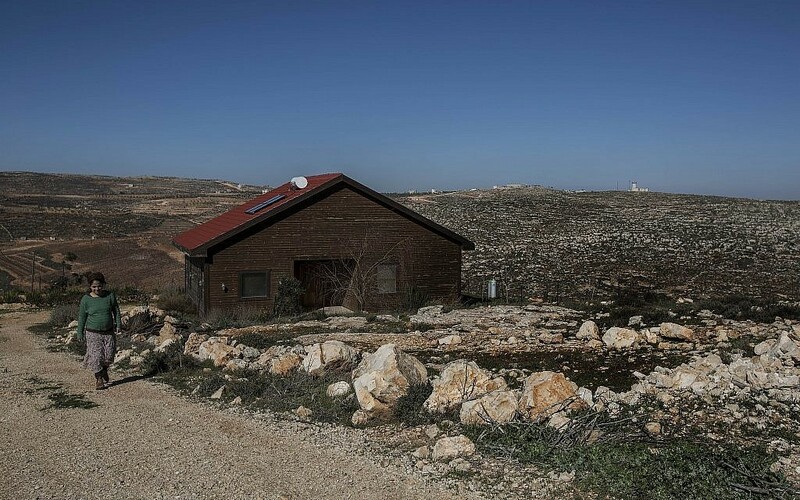 “Airbnb has informed us that its decision not to list homes in the West Bank will not be enacted,” Levin says in a statement. There is no immediate statement from Airbnb. The Tourism Ministry has forwarded what it says is a statement from Airbnb, confirming that it will not actually go ahead with its decision to remove listings in the settlements. The statement, in Hebrew, claims Minister Yariv Levin held talks with an Airbnb official named Chris Lanahan, though it probably actually refers to Chris Lehane, Airbnb’s policy head. There is no official word from Airbnb, and its statement announcing its decision on the West Bank is still up. Lebanese Prime Minister Sa’ad Hariri has told the head of the UNIFIL peacekeeping force on the border with Israel that Beirut is committed to implementing UN Resolution 1701 and respecting the Blue Line frontier between Israel and Lebanon, the country’s state-run news agency says. The comment comes after UNIFIL released a report saying that tunnels dug under the border had breached the resolution, which ended the 2006 war between the countries. “This is a massive defeat for the BDS movement and other racists that seek to single out Jews for special treatment. We will continue to fight the enemies of Israel in court, wherever and whenever they arise,” the Shurat Hadin law center says in a statement. The group had launched a lawsuit against Airbnb in US court last month on behalf of an Israeli user of the site. “We hope that they will not repeat this mistake again,” the umbrella settlement body says in a statement. Channel 10 news notes that the decision from Airbnb is not a total reversal, but only a commitment to continue talks and not enact that settlement ban yet. The Knesset has approved Prime Minister Benjamin Netanyahu as permanent defense minister, by a vote of 61 to 59. Netanyahu has been acting defense minister since Avigdor Liberman quit the post and pulled his Yisrael Beytenu party out of the government last month. Airbnb has issued an official statement denying the Israeli reports that it is suspending or reversing its decision on settlement listings. The statement calls reports on Airbnb’s decision “inaccurate,” and says the company is developing tools to implement its policy and holding talks with the Israeli government and others. The statement does seem to indicate that the company is at least not implementing its decision yet. Well-connected US rabbi Shmuley Boteach is joining the ranks of activists taking credit in a widely distributed email for the Airbnb reversal that is not an actual reversal. “THIS IS HUGE AND IS IN LARGE PART A DIRECT RESULT OF OUR @washingtonpost AD Attacking @Airbnb for their anti-Semitism. The ad was seen by millions and caused @Airbnb to reflect,” Boteach says in the email. Haaretz reporter Noa Landau says on Twitter that she got a statement in Hebrew from Airbnb appearing to confirm the Israeli ministry’s claims of a decision to not implement the settlement ban directly from an Israeli spokesperson for the firm. The statement quoted by Landau was identical to the one later sent out by the Tourism Ministry, including Chris Lehane’s misspelled name. That would seem to indicate either a serious miscommunication, or an actual reversal by the firm. The spokesperson who sent Landau the statement has not responded to several requests from The Times of Israel for comment or clarification.